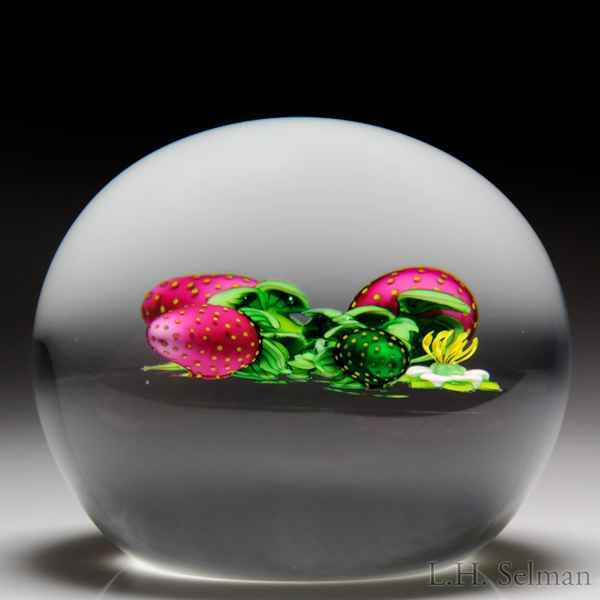 Ken Rosenfeld 1997 strawberries and blossom paperweight. A cruciform of dimensional strawberries, three shaded-pink and the top one still ripening, sports a white blossom to the side amidst stems and leaves. Clear ground. Signature cane. Signed/dated. Diameter 3 1/4".